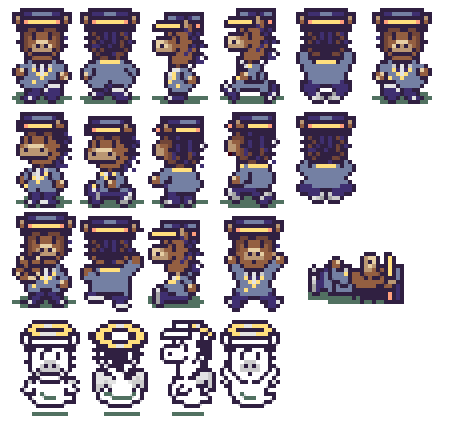 This dream tactical RPG I’ve been working on was originally an Earthbound ROM hack from years ago called “Neighsayers Be Damned” and was about cheating and sabotaging to prevent the four horsemen of the apocalypse from winning a horse racing derby. I basically… designed an entire game around the pun title. While I retired it because of Assembly frustrations, I’m pleased with that I accomplished. 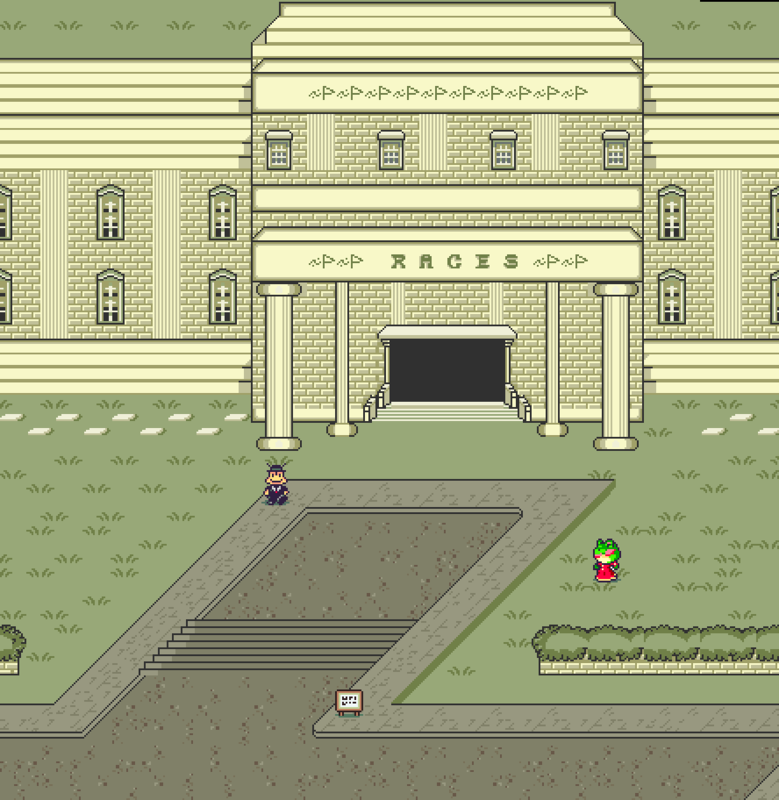 The map editing should be super impressive to anyone familiar with EB ROM hacking. Basically, you’re limited to a certain amount of mini tiles which make up a whole tile (also limited in number) which is then tiled on a grid in a way that makes visual sense (so roads aren’t suddenly cut off, etc. 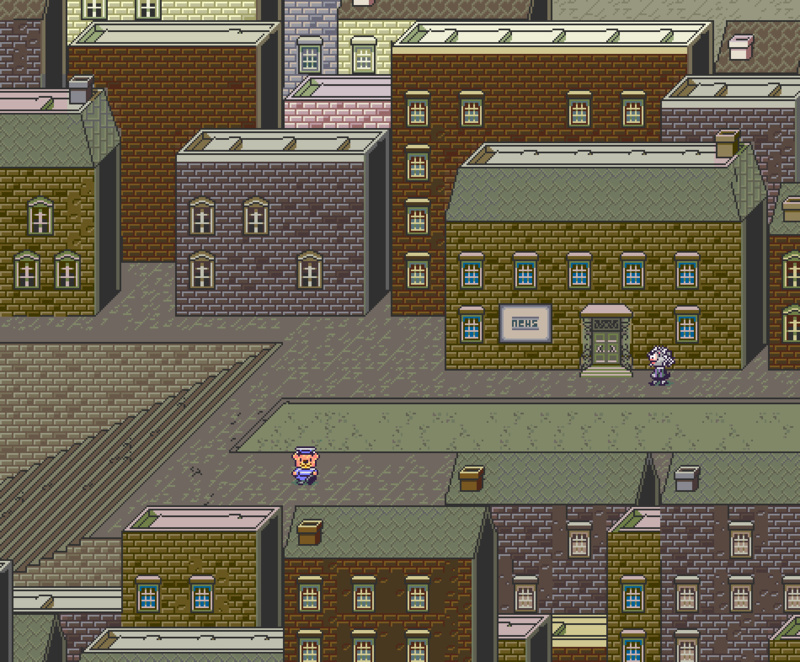 ).You have a base palette of colours (again, limited since you’re dealing with the SNES restrictions) which have variants; that’s how I was able to get pastel-coloured buildings in the Uptown area. Confusing? Probably, and it certainly required a lot of planning to execute. 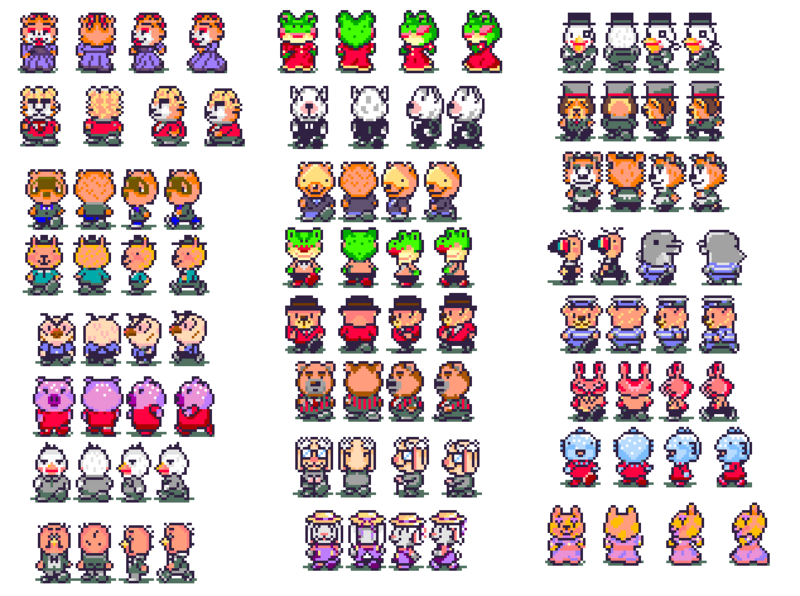 That’s all beyond the palette restrictions of the sprites themselves! 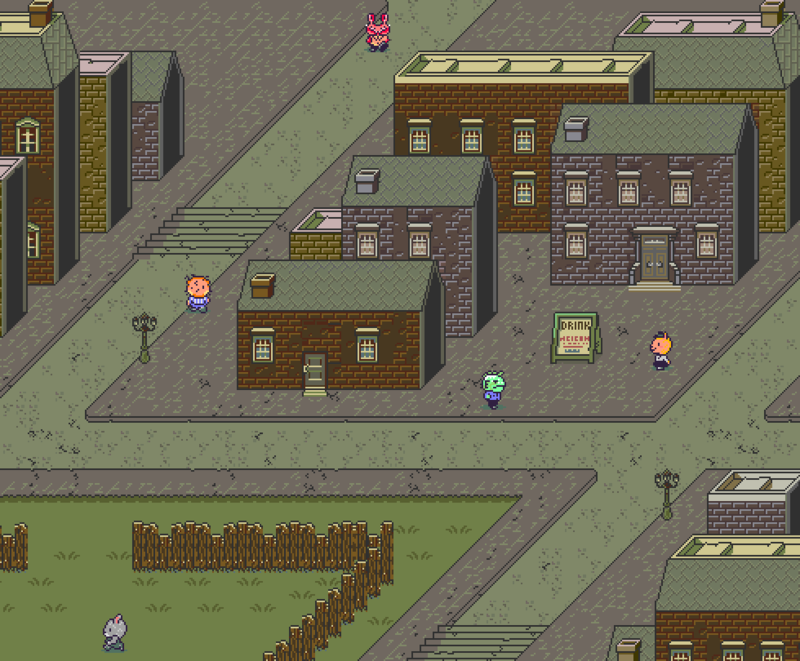 The starting town is Naughton (to match the Onett-Twoson-Threed EB naming convention) and there’s clear divisions between the downtown, midtown, and uptown areas so you can seamlessly pass through them all using the same tile palette. 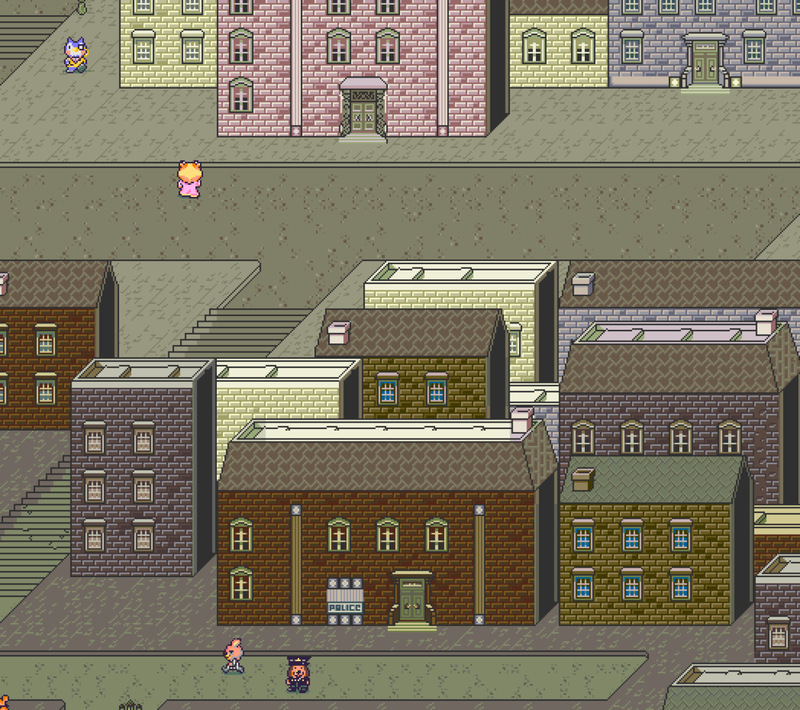 The current iteration of my game, the one with the isometric screenshots seen on this site, is made in Unity3D and has a completely different working title which suits its (hopeful) elegance. Still though, the first act matches the entirety of the ROM hack beat-for-beat, albeit with a slightly less silly tone. 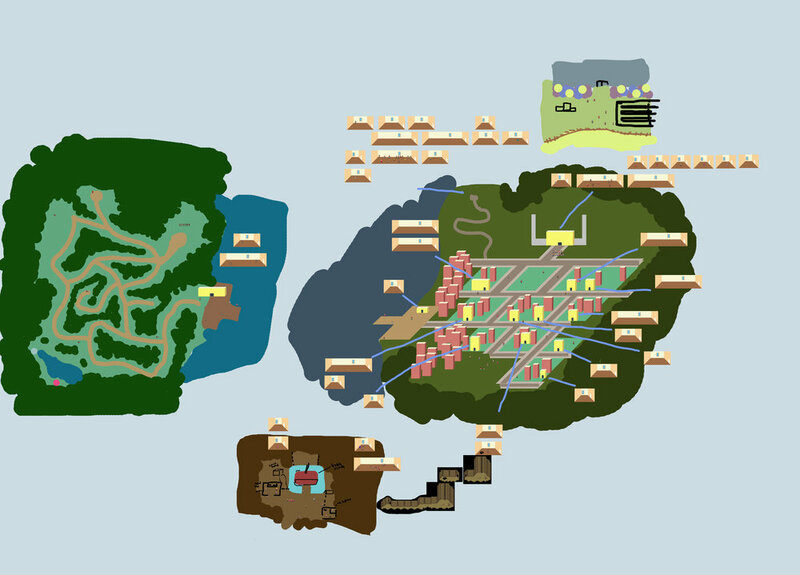 Other changes include the fact that your party isn’t just… horses, and also a shift from Earthbound-like to a more grid-based tactical system. My inspiration pillars: battles of Final Fantasy Tactics, tone/visuals Final Fantasy IX, plot of Faust and the [?????] of [?????????] (wait and see! ).